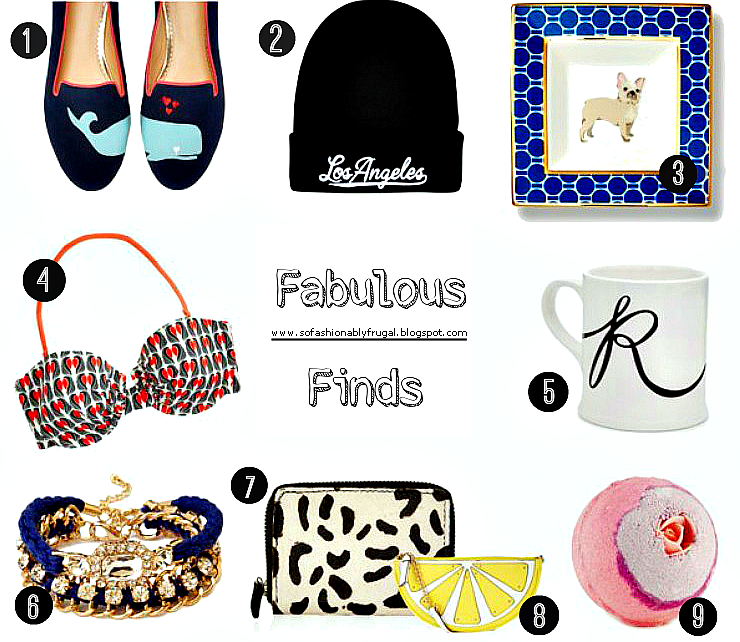 So Fashionably Frugal: Fabulous Finds Starting at $7! Fabulous Finds Starting at $7! Living in the Northeast, these past weeks have been all about snow, and lots of it! So..since the weather hasn't been travel friendly, I've had a lot of time to sit down and peruse the internet. Way too much time, trust me! In doing this, I found all kinds of clothing, accessories and home items that I fell head over heels in love with. That's the point of Pinterest isn't it? So today's post is a compilation of some of those fab finds! Most of the items are affordable, but some are definitely worth saving your money for. I know, I know...I don't usually put up items that are a little more expensive on here, but I thought I'd give it a try since in real life we all have different budgets. Regardless, it's a fun and kitschy kind of post. So I think you guys will like it! On a quick side note, I've decided to create new posts every Saturday. Took a while to figure out with classes and whatnot what day was best for me. So keep that in mind! Have a great week guys! Thanks SO much to my new followers! You're the best! Make A Statement // Necklaces That Will Wow!